As someone who’s starting to learn about wine, it’s easy to feel completely overwhelmed. You don’t know where to start-off… The subject is so vast! A wine course? Reading a few books first? Going to a few tasting events? Actually, you should start with something very different. It’s a small hack that’s going to pay big dividends. Wouldn’t it be great if you could experience and perceive wine with greater intensity and detail? Wouldn’t you love to be able to learn everything wine related faster and with more ease than anyone else? You see, the thing you should be starting off with is wine tasting. Wine tasting is at the very base of any wine knowledge you’re going to build on. To be able to taste wine, appreciate and understand it you need one vital skill: a good sense of smell! And that is exactly what I recommend you develop before you go on to any “wine learning”. 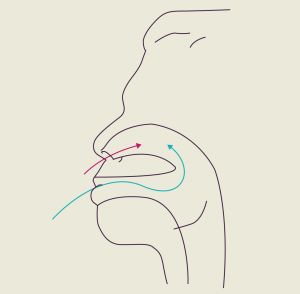 Feature Video Course: Develop your sense of smell FREE with our 7 day course . Don’t repeat the biggest mistake many of us “pros” have made. Most of us go back to training this skill later. It is such a waste of time and effort! 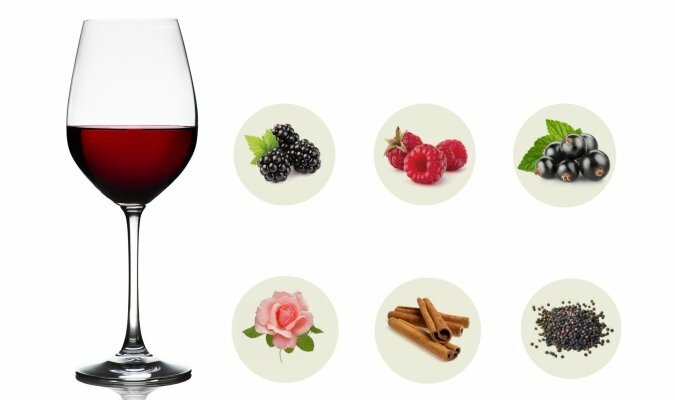 You see, your sense of smell is not only going to help you define the aromas of a wine. It’s also the very same sense that’s going to help you perceive flavours. It is your sense of smell that helps you perceive flavours. Not your sense of taste. Everything else you get from the wine is your sense of smell (through a weird phenomenon called retro-olfaction). But sadly, the vast majority of people today, have a very poor sense of smell. This is because we no longer need it for survival. But I have great news for you: with just a little work, you can boost it! With just a few minutes’ training a day, you’ll be able to pick out aromas and flavours in a wine. That’s exactly what we develop through a special training course we’ve created. It is based from exercises and workouts that were given to me when I studied wines at viticultural school in Bordeaux. In just 1 week, and with only 5 minutes workout a day, you’ll be armed with all the skills you need to learn more about wine. We help wine lovers enjoy and appreciate wine at whole other level. And best of all, we’ve made this program free! All that we ask is for people to be truly keen to learn about wine. You see, once armed with a well developed sense of smell, I can assure you that things change for you, everything becomes easier. It means you’ll be perfectly prepared for the first step in learning about wine which is wine tasting. You really will be able to taste wine better than most people. Which means you’re going to learn everything else so much faster. You can learn about how to buy wine. This is the fastest and easiest way to become a wine connoisseur. Enjoy the journey… It is truly a magical one. If you’re starting out in wine or you’re in your early days of learning, make sure you work on the most important skill of all. Remember that without a good sense of smell, you’ll never be able to appreciate wine to its full. But start off by developing your sense of smell and the world of wine will open itself up to you. I didn’t know that your sense of smell was responsible for sensing flavors instead of your taste buds. I can then see why it would be important to make sure that you don’t have any stuffy noses or congestion at a wine tasting retreat. I’ll have to remember your smelling tips the next time I want to go try some wine. Definitely the most important when it comes to wine! 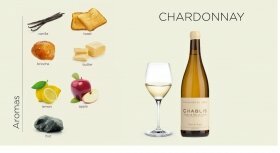 I loved when you mentioned how you should take the time to learn how to match your food with the type of wine you choose. It is important to remember that doing some research can help you know what to get so you can spend the best time you can. A friend of mine was talking about how he wanted to get good local wines, so I’m glad I found your page.